Myopia, also known as nearsightedness, is when a person has “blurry” vision at a distance. 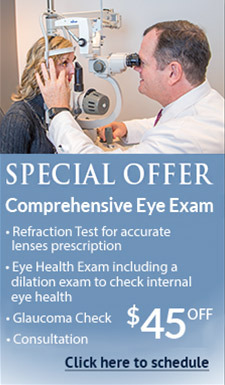 This condition is the most common type of refractive error which is an imperfection in the optical aspect of the eye. Basically, instead of light rays entering the eye and being focused on the back of the eye (retina), they are focused to a point in front of the retina. This causes the image that is projected on the retina to be “blurred” because the light rays are not focused properly on the back of the eye. The number of people with myopia is increasing dramatically with reports of more than 30% of those in U.S. having the condition. Worldwide, the increase in patients with this condition is expected to be very significant over next few decades. Why is that important to know about myopia and the dramatic projections for increases? First, with myopia comes concerns for other types of eye health issues. For example, those with higher levels of myopia stand chance for eye health changes such as retinal detachments, glaucoma, and even certain types of macular degeneration, which all can cause vision loss. Further, the impact on students’ learning and performance needs to be considered. It has been reported that some 80% of what a child learns comes from vision. Being able see clearly and with comfort would certainly allow for a better chance of learning, not to mention eye-hand coordination and total development of depth perception. Thus, with dramatic increases in myopia comes potential increases in learning and even ocular health issues. The reason for projected increases in myopia are quite interesting. The discussions center around environmental and genetic causes and most likely are often a combination of the two. It seems logical that two very nearsighted parents would have children also nearsighted; however, that is not always the case. Many people have children with myopia when neither parent has the condition. So, although genetics does play some role, it does not explain totally the proliferation of myopia. Environmental issues are widespread and most definitely need to be discussed. Educational systems leading to excess near work, blue light and pixel generated images, lack of physical activity, poor diet, and even shifts in the paradigm of city/rural definition and landscapes are some of the many discussed environmental issues. No one can argue that a technological advancement, even explosion, has occurred in today’s population. Computers, cell phones, gaming systems along with many more blue light, pixel generated items are wonderful for efficiency, and are fun. But these are contributing to younger generations being outdoors less, and being involved more in complex near tasks. This all also puts a lot more strain on the visual system and adds to the refractive error issue. While no one item can be blamed without further study, it can be seen that a large combination of factors may be involved as the cause for rise in myopia. 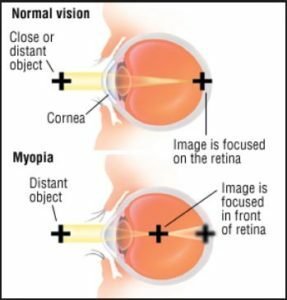 While incredible research and studies have been and continue to be done on prevention and control of myopia, current vision issues need to be diagnosed so that they can be corrected and further problems prevented. 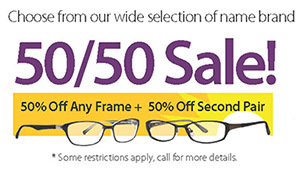 At New Era Eye Care, our eye exams are thorough and our friendly staff makes the entire experience enjoyable. “Seeing” really should be effortless, so call for an appointment today to ensure your family has the best vision possible.